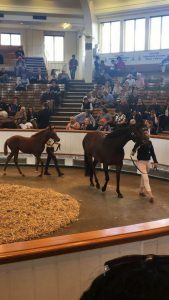 The British Horseracing Graduate Development Programme, which has been running for over 25 years, provides an invaluable source of talent to the sport and its supporting industry. 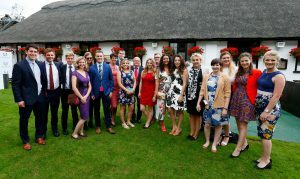 Over 400 graduates have completed the programme and the majority have established careers in British Horseracing in a wide range of roles; management positions at racecourses, bookmakers, the trade press, trainer’s yards, studs, bloodstock sales and also at the British Horseracing Authority. As a result of the programme’s success in providing a wealth of passionate and talented graduates the British Horseracing Graduate Development Programme is well known and highly regarded throughout the British Horseracing industry. 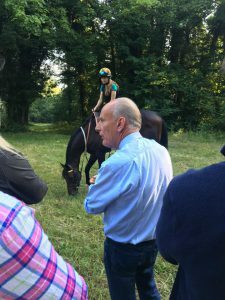 The programme starts with a comprehensive two- week residential course held at The British Racing School (BRS) in Newmarket in July, which includes a wide range of speakers, field trips, personal development and networking opportunities. All graduates stay in accommodation at the BRS for the duration of the two week course. The two- week course shows how the various aspects of the sport work together and gives an insight into many of the organisations and their functions within the industry. Graduates then go on to their paid placements which are usually eight weeks but in some cases may be longer. The programme is intended for degree students in their final year of university or those who have recently graduated. Applications are welcomed from all backgrounds and experience, however it is recommended that applicants have work experience in the industry and have an idea of what they would like to do. The graduate programme offers approximately 20 placements each year, in a variety of organisations, in locations across the UK. For the majority of placements, degree subject isn’t important. On completing the programme, graduates will have a raft of opportunities in the fascinating, complex and rewarding world of horseracing. 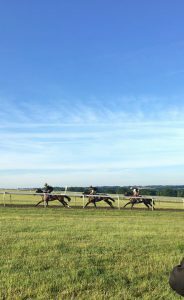 Placements differ year on year but usually include organisations such as Racecourse Association, The Racing Post, Weatherbys, Timeform, Jockey Club Racecourses and Racing Welfare. Take a look at some of the placements on offer , see Placements for 2018. Download our Graduate Programme FAQs to answer more of your questions on the Graduate Programme. View the most recent British Horseracing Graduate Development Programme 2018 brochure. Click here. Applications for the 2019 Graduate Programme are now closed. Applications for the 2020 Programme will be invited later on this year. View the Privacy Notice for the Graduate Programme to find out how we will use your data if you apply for the Programme, click here.